The later transfer of Schiller’s remains into the Weimar Ducal Vault failed. His bones could not be clearly identified and were probably lost with the levelling of the mausoleum. Therefore, I think that this place is more significant to admirers of the great poet than the famous Ducal Vault. The current building is a reconstruction from 1927. 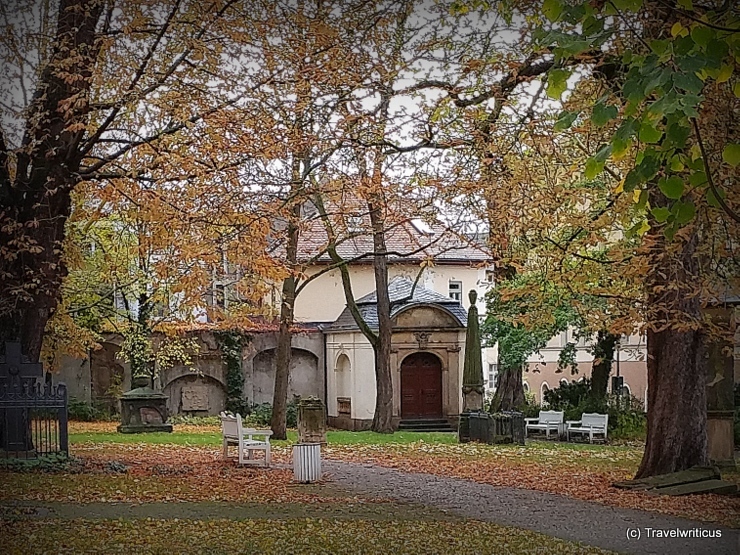 This entry was posted in Cemeteries, Friedrich Schiller and tagged Germany, Thuringia, Weimar by Travelwriticus. Bookmark the permalink.